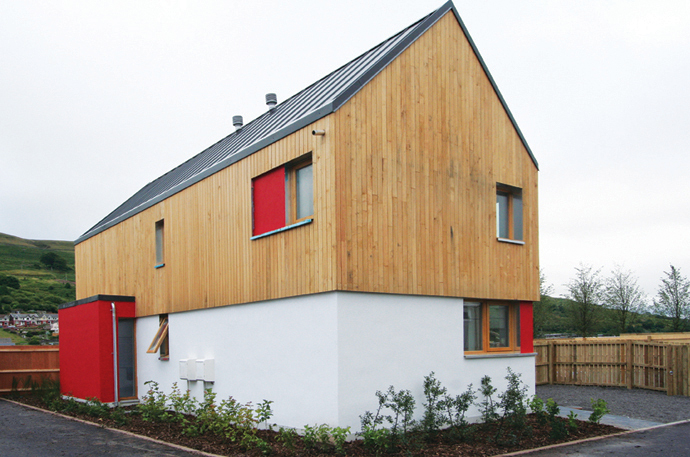 This house on the Future Homes site in Ebbw Vale is a low energy dwelling based on the principles of the traditional Welsh longhouse - simple forms in the landscape with crogloft, solar passage and pentice, but re-interpreted to meet the needs of the 21st century family. 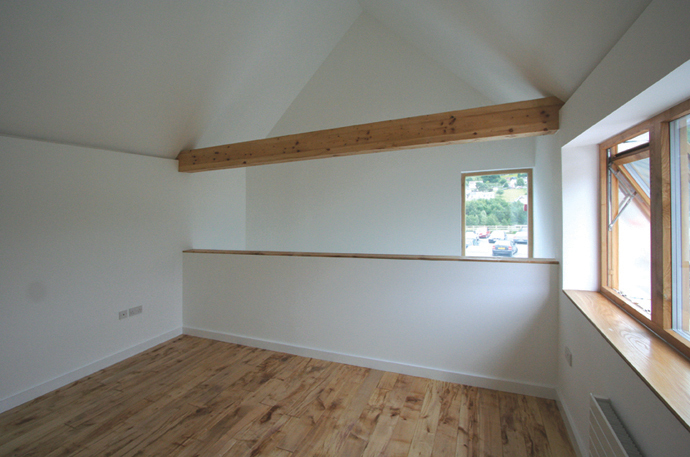 The house uses Ty Unnos, ‘a house in a night', using locally grown Sitka spruce. Ty Unnos was developed while we were at the Design Research Unit Wales in partnership with the timber supply chain, funded by the Technology Strategy Board. 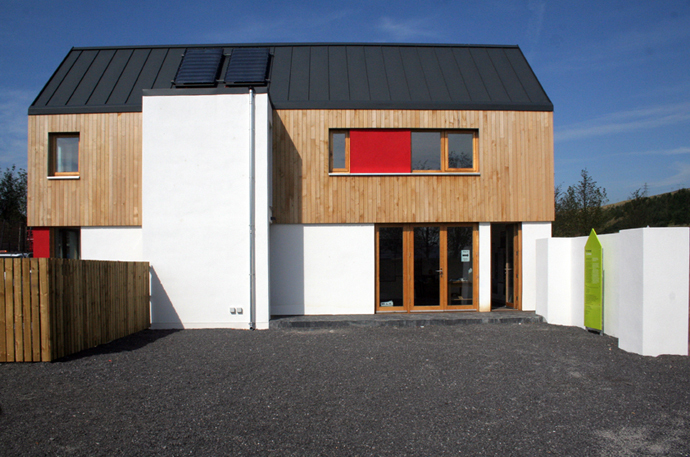 Influenced by Passivhaus standards the house is super-insulated to provide a 0.1W/m2K U-value, uses triple glazed, thermally broken windows, designed with Vintage Joinery, detailed to minimise air leakage (0.3 air changes per hour) with an MVHR unit providing fresh air whilst retaining heat in the winter. 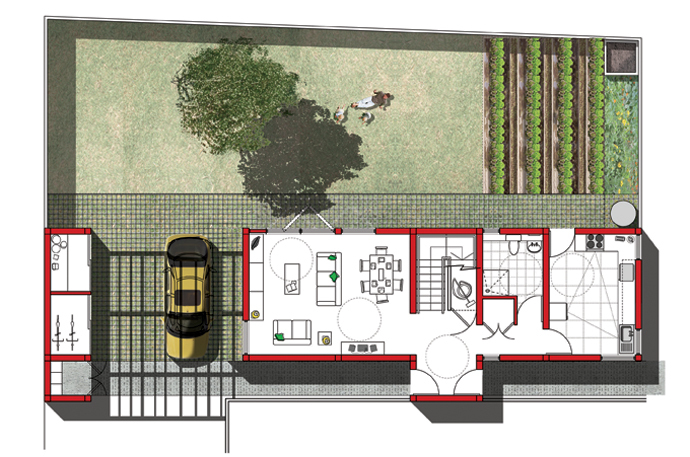 Local, sustainable materials have been specified throughout. 80% of materials and products were sourced within 40miles of Ebbw Vale. Team: Steve Coombs, Matthew Jones & Rob Thomas(DRU-w); G Adams Construction (main contractor); BRE (Passivhaus specialists); Burroughs (Structural engineers); Coed Cymru (Timber specialists).